With a unique trifold design the handmade custom leather passport wallet can hold more travel essentials, and it can add your initials for a personalized look. This is a well-designed and customizable leather travel wallet handcrafted by BlackBrierLeather, a handicraft studio in Kiev. The passport wallet measures 5.7 x 4.0 inches. As shown in the images, it features a minimal and stylish appearance design, and it’s made from genuine leather for a durable construction and classic fashion, while meticulous stitching not only complements to the stylish design, but also provides enhanced durability. Meanwhile, 5 optional colors allow it to meet more personal styles, and the leather wallet is customizable by adding embossed initials for a personalized look. The custom leather passport wallet features a unique trifold design, so it delivers a long section to perfectly hold your banknotes and boarding pass, and 5 card slots are designed to keep up to 5 cards in place. Moreover, another folio delivers a large pocket to hold your passport. 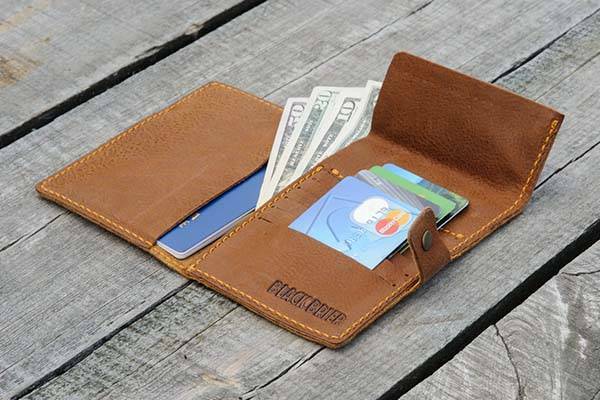 The metallic snap fastener keeps the wallet closed when you’re on the move. 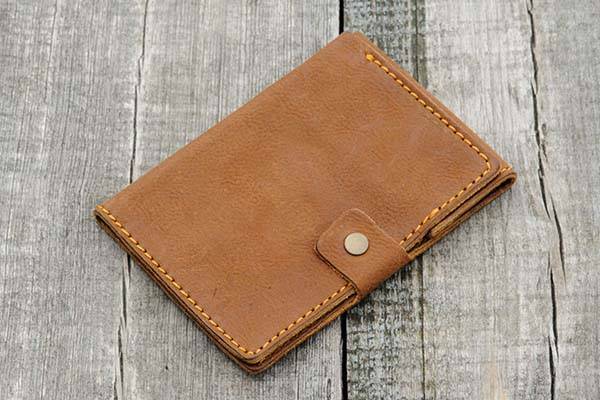 The handmade custom leather passport wallet is priced at $25 USD (extra $4 for initials). If you’re interested, jump to Etsy for its more details.